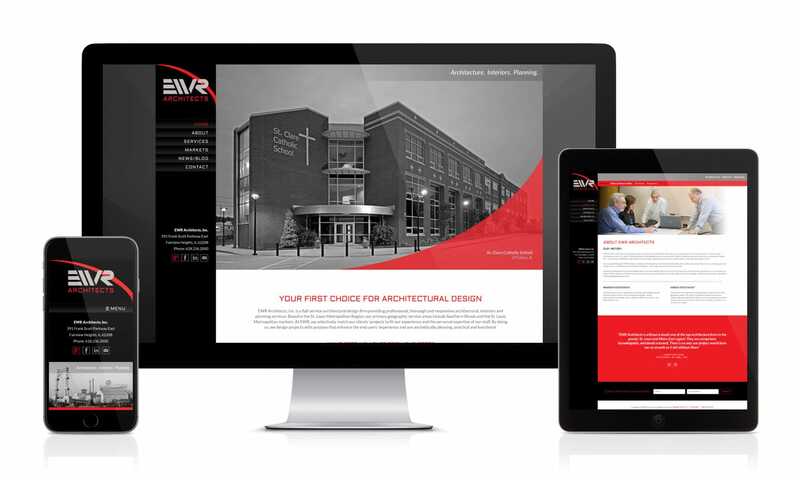 EWR Architects is an award-winning architectural firm located in Fairview Heights, Illinois. They specialize in architecture, interiors and planning, and serve the greater St. Louis Metro East area – along with most of Southern Illinois. Their services cover all commercial architecture with extensive experience in office, educational, healthcare, recreational, housing, civil/municipal and industrial. 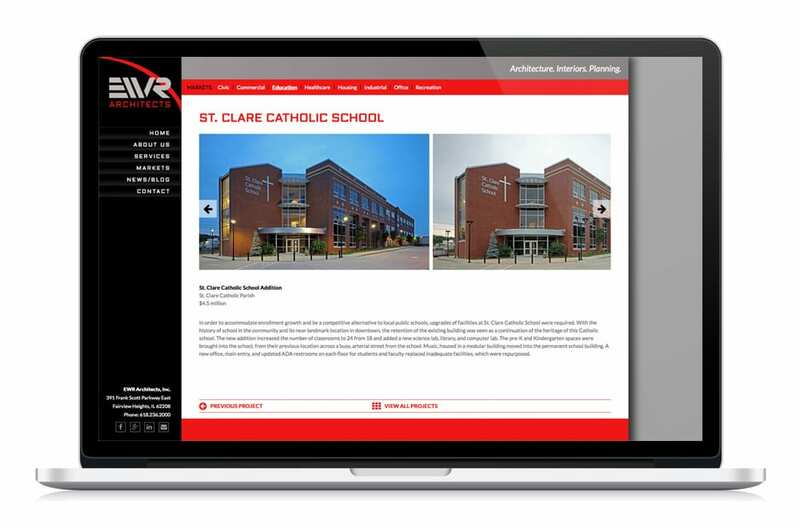 The new website was built in WordPress utilizing a fully custom, responsive designed theme. The theme includes a high-performance home page slideshow, an easy to use column system, a fully integrated news blog, a sticky navigation sidebar, a sliding testimonials widget, and a custom admin section where EWR’s staff can easily maintain their markets and projects. We customized this section so all EWR has to do is: log into the admin section, go to the custom projects tab, then add, edit or remove their projects. This system is setup so easy all they need to do is: 1. press the add a new project button 2. select the market it goes under 3. add a title and description 4. select a featured image 5. press an “add gallery button”, then drag and drop their images in (The images automatically create a custom slideshow) 6. and press update. The project is then automatically added to their portfolio. Visual Lure completed this website in collaboration with of Cindy Sorgea, a very talented PR specialist and copywriter. She was in charge of project management and content creation. We handled everything on the design and development side.